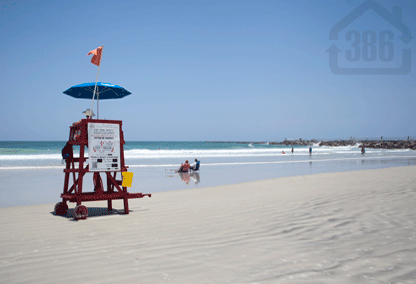 Ponce Inlet is a peaceful and beautiful beach town located just south of Daytona Beach. If you enjoy sunshine and the beautiful blues of the ocean, you will love Ponce Inlet. Here you will find the only link from river to ocean in the Daytona Beach area, making boating activities very popular for residents here. This community also features great eateries, water sports, charter fishing, social clubs, and much more. Plus you can enjoy the serenity and privacy of the traffic-free areas of Ponce Inlet coastline. Ponce Inlet offers an affordable lifestyle highlighted by friendly residents that enjoy outdoor activities. Come explore the many homes for sale in Ponce Inlet and begin your beachside lifestyle today. Ponce Inlet has a large variety of homes for sale to meet your needs. There are oceanfront, million-dollar luxury homes available and there are also smaller beach cottages that are only a short bike ride away from the beach. You may also want to live riverfront where you can have your own dock for instant access to the intracoastal waterway. Many homes have breathtaking views of the river, ocean, or the beautiful, historic Ponce de Leon Inlet Lighthouse, a beacon that beckons Ponce Inlet residents home.